Earthquake Prediction: 5.4R in Western Turkey! The same location as the previous strong event of same magnitude! 5.4R in Western Turkey! The same location as the previous strong event of same magnitude! 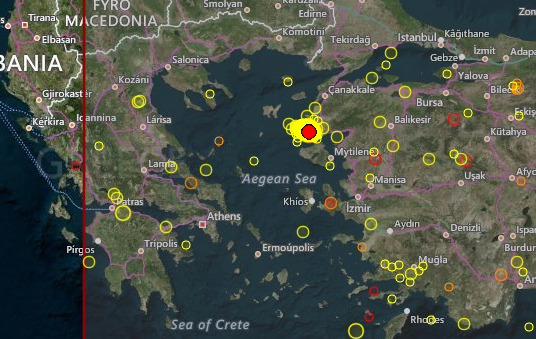 It seems the active fault in that part of the world is still working and we just heard of this 5.4R event opposite Lesvos Island on Turkey. We were expecting a Turkey event today, but at (39N, 39E).